Rev. 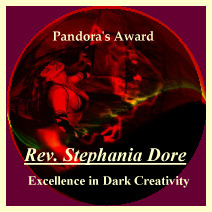 Stephania Dore are listed first on this site as it is updated. but god made me a Satanist instead. "- S.D. 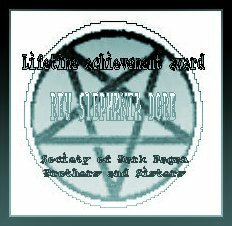 This site encourages individuals to find their own truths and formulate their own beliefs based on left hand path philosophies regarding not only Modern Satanism but whatever your own truth encompasses. **SATANISM NEVER WAS, IS NOT NOW, AND NEVER WILL BE A CULT! own evolution nor attempt to interfere with one's personal path to truth. AND PLAIN OL' IGNORANCE~ THE P.A. 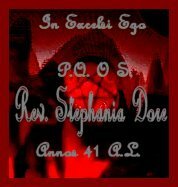 Our sister site dealing with more informational aspects of applied magick and history. For the purpose of education only as we are all "STARS" in our own right. You can never buy into a lifestyle. of introduction and media consultation. that remains all too individual a matter to be confined to the structure of any grade system. nor fees of any kind. other than the lessons of life itself. "P.L.H.P." is an "Offline" Organization. who have awakened to the realisation that God is Man and vice versa. and defender of LHP philosophy. in the quest to maintain Man's inner truth. That being his ineffable truth. and therefore be recognized as such. In this mission we shall not waiver. Each Man be his own god! Each Man be his own satan! at their own belief systems and practices. is the true and only controlling force behind this phenomena. concrete world of our existence. has opened doors revealing the essence of what we are as humans and what we are infact capable of. To say Satanism has not made inroads would not be entirely accurate. which is very slowly bringing about understanding and acceptance of man as the only existing diety to have been validated since the beginning of time itself. 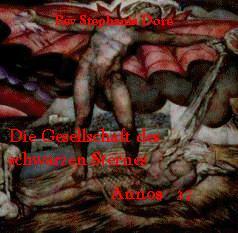 Thus meaning to say that god and satan both reside within man. the Satanist takes full responsibility for their actions without fear of vengeance from a higher power when none can nor ever has been proven to exist. Satanism is not a new concept by any means but it remains in the shadows till this day as the masses struggle desperately to please their all loving god of choice by actions that speak of hatred and destruction. Such is the hypocrisy of dictated religion. hence our allegiance to the Self. This assumption is completely incorrect. our inner god and our inner satan. not both dark and light? Yes it would seem this way. And in this situation we expect people do do their homework and look beyond the label. That is but one reason why we employ it. by the hypocrytical right hand revellors. which shall surely bring about our downfall. How many sins does Man commit in one week alone? I refer to sin as what the church considers sin to be. it is nothing more than normal aspects of our inheirant qualities. absolve you of your own natural behaviour? the use of the term 'Satanist' has many sound reasons for it's being. governed by a so called satan. and Man is in fact that beast which now walks upon two legs. And it is a word that represents the dark side. The very natural dark side of the human instinct. it is nothing more and nothing less. Left Hand Path philosophies be acknowledged and accepted fully in our society. actual existence in the real world! truth known to be perfect in it's wisdom. We support this right to Truth and the recognition of the Great Work of the magickal societies from which they have come forth. "Practitioners of the Left Hand Path"
in honesty of heart and without malice.